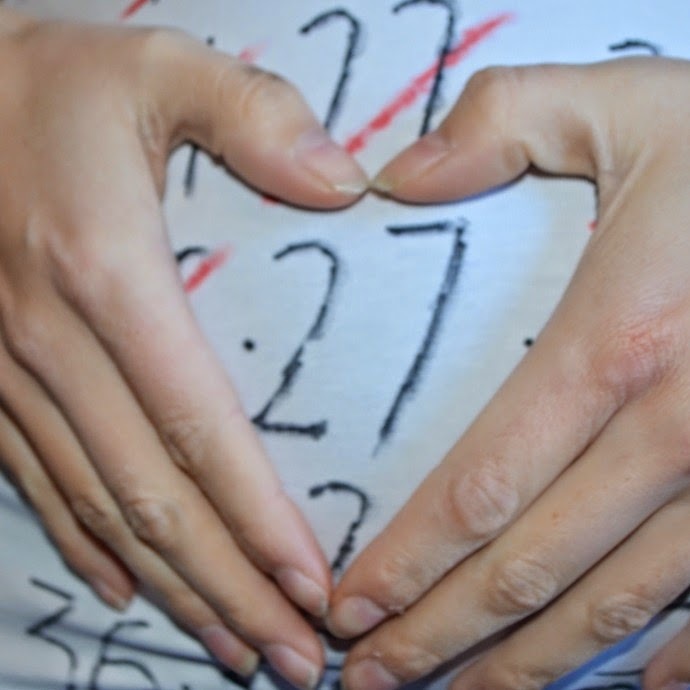 27 weeks means I had arrived at the third and final trimester far quicker than I thought! There seems to be some debate as to whether it begins at 27 or 28 weeks, but as my babies were born at 38 and 39 weeks, I think 27 marks two thirds of this journey done. Whilst I am loving the extra kicks, the bigger bump and finally being allowed those extra calories, I am so conscious that I only have a few weeks left to enjoy this pregnancy and as it is most likely our last, this makes me a bit sad. It feels ironic that the more I want time to slow down, the faster it seems to go, I think having small children already just leaves little time to sit and enjoy. Excuse the blur and shadows, I got the bloke to take the pic. . . When I think back to my first pregnancy, I felt like I had really bonded with the baby, I felt so aware of his patterns, his position and I would lay down just feeling him move and talking to him. This time I am nowhere close, and whilst I love this baby with all my heart already, I don't feel like we have had the chance to bond in the same way. I know that once he is born, none of this will matter, but it still makes me a little sad. It feels like only now at 27 weeks I would feel confident saying I feel this baby moving enough to know if there is a disruption to his patterns, and I still spend much of my day too busy to notice. In the evenings I see my tummy moving into all sorts of funny positions and I think that baby is head down already. I had a midwife appointment this week, who has plotted my baby above the 95th centile, but as the other boys were large, they aren't concerned. I was quite convinced I was measuring big again but I think that is just how I carry babies. I am not feeling quite as tired this week, although I think the reprieve will be short as it is around this time that energy levels start to plummet again! I have been craving cheese though, and have demolished plenty of mozzarella balls straight from the fridge, baking camembert and cheese on crackers. I am using the 'growing bones' excuse at the moment, but I know that snacking on a block of cheddar probably isn't the best idea to do so regularly. I have been hanging on to a few non-maternity items, but walking around town the buttons popping open on what was a very loose shirt has meant my wardrobe is cut down even further. Thankfully, the bloke's clothes are starting to fit, and his Christmas jumper is perfect to wear over my bump! 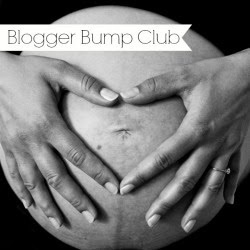 If you have written any pregnancy related posts then make sure to link them up to BlogBumpClub! I'm just a week or so behind you, and it does feel like time is flying! I can't believe you're in the third trimester already! Where has all that time gone! I know what you mean about having less time to just sit still and be pregnant by the time you're on to number three - half the time I could almost forget I was pregnant and then I'd try to move to get something for the girls and there'd be a bump in the way! Welcome to the third trimester! It all seems to fly by. Your bump is just so neat and lovely - one of the nicest i've ever seen! Ahhh I love your bump updates. I cant believe you are 27 weeks already it seems to be flying by. I remember getting down to two outfits for the last whole month. Its hard to be comfy at that stage and look nice at the same time without spending a fortune on maternity clothes. Although I said if I ever have a third I will definitely buy some instead of stretching my own clothes out to no return. You are looking fab as always and Idont know how you do it prego with two small tots and I know you take care of other small tots as well. Superwoman.